Billions is spent every year by the top corporations for pay per click advertising for good reason, because it works. It is the most cost effective targeted online advertising that your business can invest in. Pay Per Click advertising requires creative and strategic efforts to utilize the best keywords that are most likely to be used by your target market to find you. Using this form of advertising to help gain more sales and to also gain social proof at your social media sites at the same time can significantly increase the return on investment for the ads you purchase. Before you create a pay per click campaign designed to work double duty to convert customers and build social media followers, spend some time creating a very specific sales or landing page to send the traffic from the pay per click campaign. 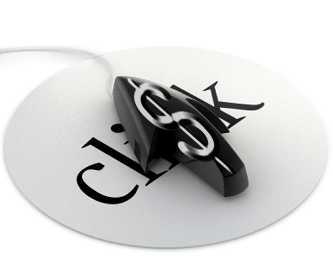 Where many businesses send pay per click ads to their home page, that does not direct potential customers. On the other hand, a sales page will become part of a funnel that will direct your visitors to the sale in a way that is clear, concise and much more effective than just having them land on a generic page. When you have your sales or landing page created for your campaign you can create the pay per click campaign focusing on the best keywords that your potential visitors will be using to find your specific product or service. Before you begin the pay per click campaign though, opt out of contextual advertising programs. These bring too many clicks that will not convert to sales and will not show up well on your analytics. People actively looking for what you are offering will give you a better conversion rate. At this point is where you can use your ad to do double duty of converting sales and gaining followers. Asking them to “Like” your social media page in return for a free eBook, video or other product will gain your following, and because they will have to enter their email address to gain the free product, you will have a lead to convert to a sale. Therefore, you are building your following and also having the opportunity to convert more sales, through a single pay per click advertising campaign. Remember, it all starts with how you design your sales or landing page, so make sure it is compelling and valuable in encouraging visitors to “Like” and submit their email.